Home AppClose features WHY USE APPCLOSE EXPENSE TRACKER? WHY USE APPCLOSE EXPENSE TRACKER? ﻿WHY USE APPCLOSE EXPENSE TRACKER? Thousands of people each and every day are choosing AppClose, the #1 Free Co-Parenting App, to manage co-parenting responsibilities and to help them take back control of the financial pieces of their life, particularly following a significant life change such as a separation or divorce. AppClose Expense Tracker will give you the tools you need to do just that whether you’re incurring expenses in one household or two. By utilizing our new expense tracking features, you will soon feel in control of your money again. Truly understanding the reality of your spending habits and expenses can help you jump start a plan that ultimately helps you reach your financial goals. Not only will you make a positive impact on your own life, but also in the lives of your children. $ access helpful illustrations of total money spent, as well as how your money is being spent over a specified time period. 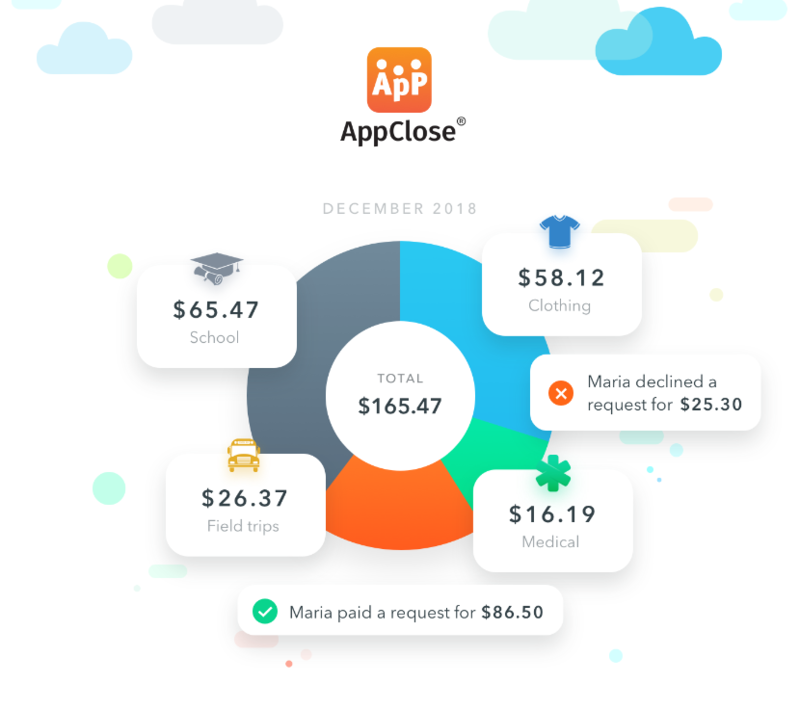 By offering a FREE and simple way to better understand your spending habits and accomplish your financial goals, we hope you’ll say good-bye to hopeless habits and hello to AppClose Expense Tracker – the best way to organize, track, share and document your finances all in one place. *The new AppClose will be released in early 2019. Previous articleCalendar Notes is an all-new AppClose feature coming in 2019. Next articleCo-Parenting through AppClose: Why communicate any other way? Co-Parenting through AppClose: Why communicate any other way? Calendar Notes is an all-new AppClose feature coming in 2019. AppClose is excited to bring you Group Chat in its next release!